Antheia: As the owner has not responded to my previous log requesting that they check this cache I am archiving it. Please avoid geolitter by removing any remaining traces of your cache or contact a local cacher to do so for you. If you are having difficulty doing so then please contact me via my profile and I will try to get someone to assist. This is particularly important if your cache appears to contain Travelbugs or Geocoins. Please do not e mail me in case I do not recieve it. 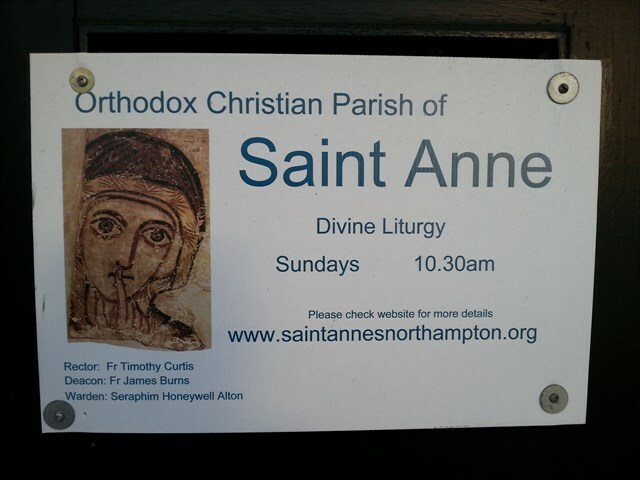 Welcome to the Orthodox Christian community dedicated to Saint Anne, the grandmother of Jesus Christ and Wife of Saint Joachim..
Fubeg Pbjobl'f znl arrq uryc. Ba nycz bgfc bhgfvqr.